This post was published 10 years 7 months 10 days ago which may make its content inapplicable to the current Islanders roster and/or team news. This site is not responsible for any misunderstanding. Every now and then, a fan or analyst comes along and says something either positive or negative about the Islanders logo and uniforms. What I really hate is how people do not even bother to look into why the Islanders have the logo they do or the changes the logo has already been through. New York Islanders – Pretty much in the same boat as the Rangers, but without the 80 years of tradition. I say lose the “island” graphic and it would look much better. The orange could be updated too. I really don’t take offense to the finishing 13th part, I disagree – (but that is a topic for another day), but I do take a bit of offense at the logo suggestion. The logo is rustic, it has history and it represents Long Island. Not many teams in professional sports have a logo that pays homage to the land they play on or to it’s residents. In 1972 the NHL decided to expand for the third time in 6 years. As an answer to the rival World Hockey Associations attempt at putting a team in New York called the New York Raiders, the NHL quickly accepted an application by 42 year old Roy Boe to buy their Long Island team. Boe considered naming his new team after the old Eastern Hockey Leagues Long Island Ducks, who played in Suffolk County, but eventually he settled on the New York Islanders in homage to the people on Long Island. Boe’s wife Deon designed the Nets’ first uniforms, and she attempted to design the Islanders in green and black. That was quickly tossed by the politicians on Long Island who saw Nassau County’s colors of Orange and Blue much more appropriate. Given only three days, an advertising executive named John Alogna from East Meadow created the Islanders logo with the NY over a silhouette of Long Island. One of the worst moves the management group made was not off the ice, but making a decision to change the Islanders look on the ice. Their decision to change the Islanders colors and logo in 1995 only made the team a complete joke of the NHL. “We never intended to strip the team of it’s tradition,” Rosenthal said. “But we made a mistake. We did not read the signals correctly. We misunderstood the underlying passion of the fans.” And these were longtime season ticket holders? Thankfully, the old logo was restored in 1997-98 once New York Sports Ventures took control of the team. Prior to the 1998–99 season, the team’s new ownership reverted to the initial traditional design but kept the navy blue and bright orange from the “wave” era jersey. They added a shoulder patch of four bars, alternating in color, to represent the Islanders’ four straight Stanley Cup championships. The new design also changed the borders around the numbers and “C” and “A” letters: instead of leaving no space between the orange border and the white or blue numbers, the jersey featured a raised outline. A third jersey was introduced in 2003. It was orange and had navy blue stripes, outlined in white, going vertically on the sleeves and then cutting horizontally on the bottom of the sleeve. The navy blue stripes came out of the sleeve diagonally and jabbed out to a point into the bottom of the jersey. The team wore these jerseys through the 2006–07 season. 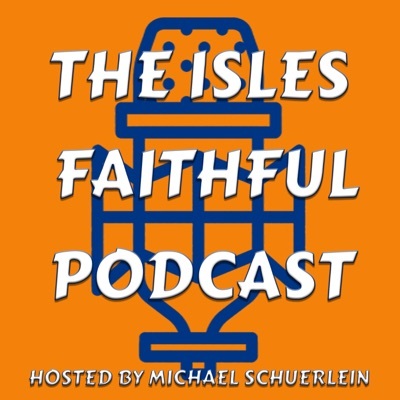 There you have it, a brief history about how the Islanders logo came to be, why the Islanders are Orange and Blue, some of the changes the logo and uniforms have undergone over the past 20 years and most importantly – why there is a silhouette of Long Island in the first place. I accept that people won’t always share the same opinion, just make some educated statements before you try to change our logo. oh wait, wang changes everything, all the time, coz he HAS NO CLUE HOW TO RUN A SPORTS TEAM!!!!!!!!!!!!!!!!! Sell the team you deadbeat software developer, stick to algorithms and GUI related stuff. Great, great post. The logo is perfect because of Long Island in the background. As someone who is living on the West Coast (hoping desperately to move back in a few years), I have a lot of pride in being from Long Island. Long Islanders do have a complex because many New Yorkers don’t consider Long Island to be a part of New York. Talking to those on the West Coast, people are very surprised that the island is over 100 miles long and scoff when I talk about how the wineries on the east end are up and coming. So Long Island is always having to stick up for itself and that instills a lot of pride in being from there. Just to continue the conversation, the poster over on The Bleacher Report claims it looks like “an orange turd” and that the Isles would be better represented by a City skyline. Fortunately, someone from Long Island pointed out that Long Island has nothing to do with Manhattan. Obviously I’m a devils fan. But I do have a soft spot for the Isles. The jersey change made me feel like the Islanders were going down the drain..it was awful. My friend loved the change but I never understood why a fisherman would hold a hockey stick and play hockey on the ocean. It was refreshing to see the logo back. I grew up an Islanders fan, became a season ticket holder when i was able to afford it, and have seen Mr. C Wang move my beloved team to Brooklyn. They will be leaving shortly and I feel like I have been through a divorce, what a mistake he is making….Sell the team to someone who wants to bring them back you idiot! My humble opinion! The logo was also changed in 2007 when they added a fourth stripe to the shaft close to the heel to represent the four Stanley Cup wins.